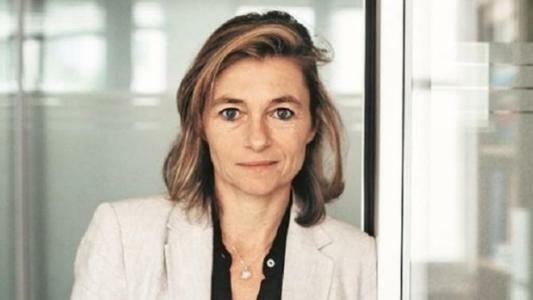 Witness to the growing number of businesses which are determined to act in the public interest, Axelle Davezac, managing director of the Fondation de France, the ‘first philanthropic network’ in the country, assures: social responsibility now resembles something of a growth lever for the private stakeholder. Leaders League. In your opinion, which practical measures can be taken to reconcile the demand for profitability with an awareness of public interest? Axelle Davezac. A business is not strictly speaking designed for dealing with public interest. It does however have a responsibility within society, engaging its stakeholders and the environment it makes use of, in order to successfully see realise its corporate purpose. More than just internal management measures, the most effective step would be to modify evaluation criteria. Developing businesses through stock quotes or during acquisitions is mainly done on very short-term results. Developing a business based on its ability to generate long-term benefits requires the inclusion of criteria which are related to corporate social responsibility policies (CSR) and, by extension, public interest. How can this approach be made into a growth lever? As shown by a study from our own Observatory of Philanthropy which was launched at the start of 2018, many firms are in the process of transforming this social order into a business opportunity. The whole point is to build a growth model which is fully inclusive without widening the gap between the factors which will actually mobilize the business because they will offer marketability, and those issues which remain sidelined such as extreme instability or prison. This is what corporate philanthropy, which is based on requirements outside of the business, provides the answers to. At the Fondation de France we see many businesses, whose DNA is focussed on the common good, create a foundation which is mutually supportive of their CSR policy. What is the role of the manager in this new vision of a business and its purpose? The Fondation de France hosts the foundations of various company heads who place the collective aspect at the very heart of their commitment vision. I am particularly thinking of François Lemarchand (Nature & Découvertes), Alain Cojean (restaurant chain) and Charles Kloboukoff (Léa Nature Jardin Bio). Committed managers tend to target younger generations who are especially demanding on these issues. Good communication is absolutely essential, including with shareholders, on the long and short-term objectives of a commitment to corporate philanthropy, so that the dynamic is shared by everyone involved. In what way should the state encourage or regulate businesses so that they think more in terms of collective interest? The development of corporate and then of individual philanthropy which started in the 90s, supported in particular by a sophisticated legal and fiscal plan, has shown that the state was able to favour the involvement of private stakeholders over the duty to public interest. Nonetheless, I think it is essential that we preserve the freedom of association of the philanthropic phenomenon. Furthermore, changing mentalities and behaviours suggest that a restrictive approach would not prove more effective than the spontaneous movement which is currently on the rise. How does the Notat-Senard report on the corporate purpose of the business inspire you? This report proposes modifying the civil code in order to include a corporate ‘raison d’être’, which would work together with profit targets, in the statutes of a company. It recommends that all businesses make room for an impact committee, an external evaluation plan and a non-financial reporting mechanism. In fact, the generalization of practices which are really external evaluation targets is still a challenge. Vigilance when it comes to the separation of private and collective interests should remain at the very heart of this work.